Providing you the best range of Bar Cutting Machine such as Bar Cutting Machines and Cutting Equipment with effective & timely delivery. The blade of the machines can be mounted with the teeth facing toward or away from the handle, that results in cutting action. 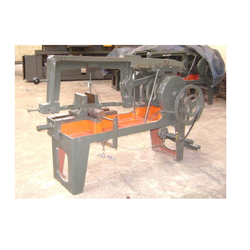 We are the manufacturer and exporter of B - 250 BC Bundal Clamping Metal Cutting Band Saw Machine.